As states continue to legalize cannabis, the industry keeps adding jobs. In fact, industry-wide, it is expected that nearly 300,000 marijuana jobs will exist by 2020. Currently there are already 28 states with some form of legalized medical marijuana and eight of those states have legalized recreational marijuana. From budtender to sales representative at a vaporizer store, opportunities abound in the legal cannabis industry, and while not all of these jobs will make a person super rich, some of them do pay fairly well. 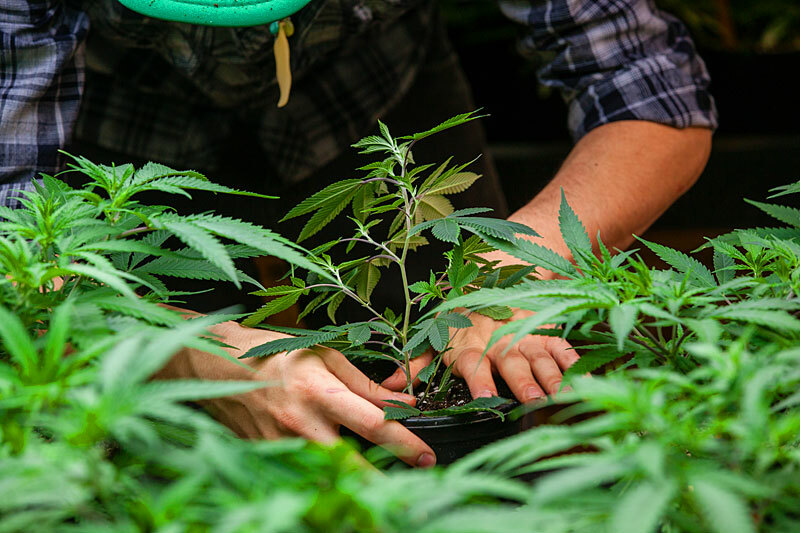 The potential for job growth is strong as well; a foot in the door as a bud trimmer or budtender can lead to earning more and more income as a grower, gardener, or even a dispensary manager or owner. Here’s a look at seven of many popular cannabis job opportunities available for those wishing to jump start their careers in this budding industry. Bud trimmers prepare marijuana buds for retail sale. Marijuana trimming is an integral part of the overall cultivation process and one of the last processes before shipping the product out to dispensaries for sale to medical and recreational consumers. Cannabis trimmers earn on average between $8 to $12 per hour but can make even more. This is an entry-level position and there are many opportunities in this field available. It takes about 10 minutes to train someone to trim bud and about an hour for them to become proficient at the art. But without them, store displays of cannabis would look a lot messier. Budtenders can be compared to bartenders. A bartender needs to know their spirits, and a budtender requires vast knowledge about strains and other cannabis products. Like bartenders, they must also be capable of developing a rapport with their customers – it’s easier to know what a customer wants or needs when they will speak freely. Budtenders make on average $14 an hour but the rate varies per state and dispensary. Tips can also play a big role in a budtender’s salary. In places like Colorado, Michigan and Oregon, budtenders are required to have a basic marijuana license, similar to the bartending license that bartenders must receive. If you have a degree in a science like horticulture or botany, you can get in at a grow operation. Entry level growers with a degree in botany can earn up to $40,000 a year, and that can jump up to $60,000 if you’re a botanist. Income only rises from there, with some growers earning $120,000 within three years. A master grower can even earn $200,000 a year. Want to learn how to grow weed professionally? Check out Production Grower’s excellent 10-chapter beginner’s guide here. They’re a partner site of ours and that guide is one of the best resources we’ve seen for getting started. A little knowledge of science can go a long way. People who extract the valuable cannabinoids from the plant to be made into oils, waxes, and chews, and products for vaporizers and vape pens are in huge demand. A master extractor can earn up to $250,000 per year and, according to industry insiders, even at that rate of pay, it’s hard keeping workers. Once they’ve reached that level of skill, they tend to be able to get the funding to run their own lab. Dispensaries need managers to run them, like many other retail stores. A business degree isn’t required, but previous dispensary and retail experience is a must along with the proven ability to manage employees and retail sales. A manager can make up to $40,000 starting out, but that can easily climb to $100k as they begin to manage multiple locations. If you have a love of baking and an entrepreneurial spirit, then perhaps being a maker of edibles is a course you might choose. Keep in mind, making edibles is about more than just producing cannabutter and baking tasty brownies. You must know about dosing in order to concoct goods which are safe for consumption. Depending on the size of the business and the experience and talent of the chef, an edible maker can earn from $50-100k per year. There are different kind of vaporizers, that can easily make you confused.Vape pens, mods, and desktop vaporizers are growing in popularity, especially among cannabis users. Vape pens with replaceable oil cartridges and dry herb pens are in-demand among both recreational and medicinal users of marijuana. Some vape shops make between $30-40k in sales a month, and while some of that goes to pay overhead costs, it’s easy to make $100k and up a year as an owner. These are just a few of the jobs that the marijuana industry has opened up. There are also opportunities for security guards, cashiers, harvesters, and in some areas, delivery personnel. The industry will likely continue to grow, especially as more and more states consider legalization initiatives.